I typically don't eat breakfast during the week. However, on the weekends, we always make an effort to eat breakfast (either at home or somewhere else). My husband and I are huge fans of pancakes and French toast. I am always on the lookout for great breakfast recipes. A few months ago, I stumped upon this recipe and decided to give it a try. I've been using the recipe for months and it comes out perfect every time. Did I mention how wonderful the house smells when the butter is melting =)? If you are a fan of french toast, you have to give this recipe a try. Grease 9 x 13-inch baking pan with butter. Tear bread into chunks (or cut into cubes) and evenly distribute in the pan. Mix together eggs, milk, cream, sugar, and vanilla. Pour evenly over bread. Cover tightly and store in the fridge several hours or overnight. In a separate bowl, mix flour, brown sugar, cinnamon, and salt. Add nutmeg if desired. Add butter pieces and but into the dry mixture until mixture resembles fine pebbles. Store in a Ziploc in the fridge. When you're ready to bake the casserole, preheat oven to 350 degrees. Remove casserole from oven and sprinkle crumb mixture over the top. (If you're using fruit, sprinkle on before the crumb mixture.) 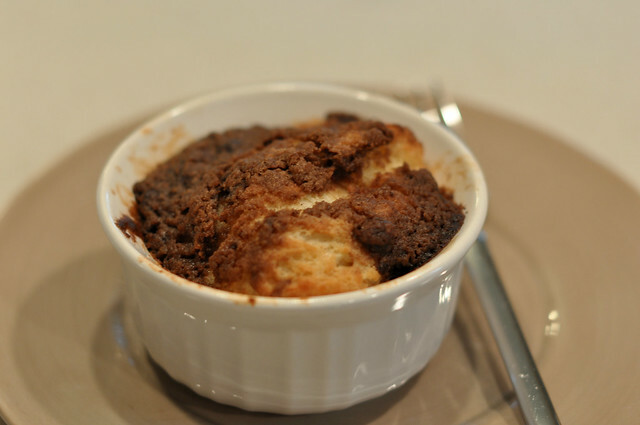 Bake for 45 minutes for a softer, more bread pudding texture. Bake 1 hour or more for a firmer, less liquid texture. Scoop out individual portions. Top with butter and drizzle with maple syrup. It looks yummy! I've never seen this before! I'm saving your recipe to try! That looks delicious! Breakfast is my favorite meal of the day. I cannot imagine skipping it.